If you’re searching for a small crossover SUV, the new Equinox is a great choice. With up to 3,500 pounds of towing capacity and a max cargo volume of 63.9 cubic feet, this is one capable SUV. 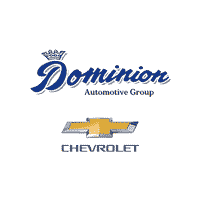 Explore our current Equinox inventory of various trim levels before making your way to Dominion Chevrolet in Bridgman! Why Choose a Chevy Equinox? In addition to being capable, the Equinox is incredibly reliable. Thanks to its 5-Star NHSTA overall safety rating, you can travel soundly with your entire family on board. Advanced safety features on the Equinox include Low Speed Forward Automatic Braking, Lane Keep Assist with Lane Departure Warning, Forward Collision Alert, High Definition Surround Vision, and more. The Equinox also offers Chevy’s Teen Driver Technology so you can monitor your teen driver’s driving even when you can’t be on the road with them. Additionally, this is one fuel-efficient SUV. Take advantage of up to an EPA-estimated fuel efficiency of 39 mpg highway when you opt for the available 1.6L turbo-diesel engine. Other engine options include the standard 1.5L turbo engine that offers up to 32 mpg highway and the available 2.0L turbo engine that’s paired with a 9-speed automatic transmission. And on LS, LT, and Premier models, you can add on the Switchable All-Wheel Drive feature to enhance traction during snow or rain. Choose Your New Equinox at Dominion Chevrolet! After you’ve read the Chevy Equinox reviews, and decided which Chevy SUV is best for you, make your way from Saint Joseph to our dealership. Our sales team will walk you through Chevy features like MyLink and OnStar, and our finance team will help you secure the best interest rate and monthly payment. We look forward to helping you find the right family-friendly SUV for your lifestyle and budget!